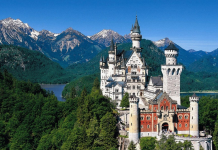 Bavaria might be the most scenic, charming and culturally rich part of Germany. 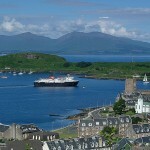 Germany is in the heart of Europe, and Bavaria in the southern end of the country. 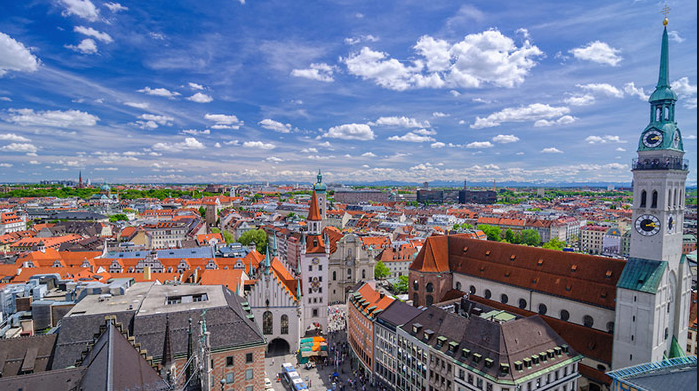 You can start exploring Bavaria by visiting Germany’s most livable city- Munich. It is a city packed with history, this city celebrates its traditions with Gusto, and at the same time it remains a modern cultural force. Mary’s Square marks the old center. The neo-gothic city hall is about a hundred years old, and it dominates the square. 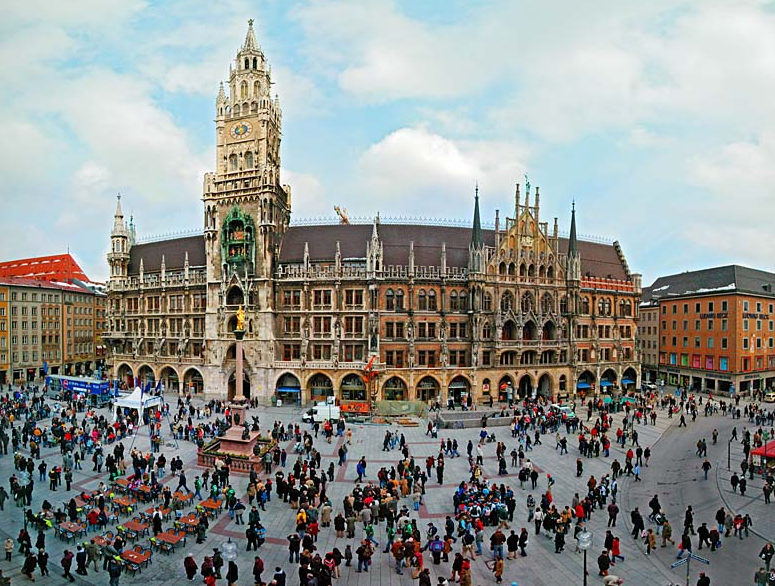 This town square is Munich’s living room. The Glockenspiel performs at the top of the hour as the Bavarian royal couple celebrating their wedding day oversees a joust. 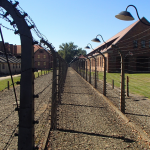 Everything you will see here was ruined in World War II and rebuilt since. 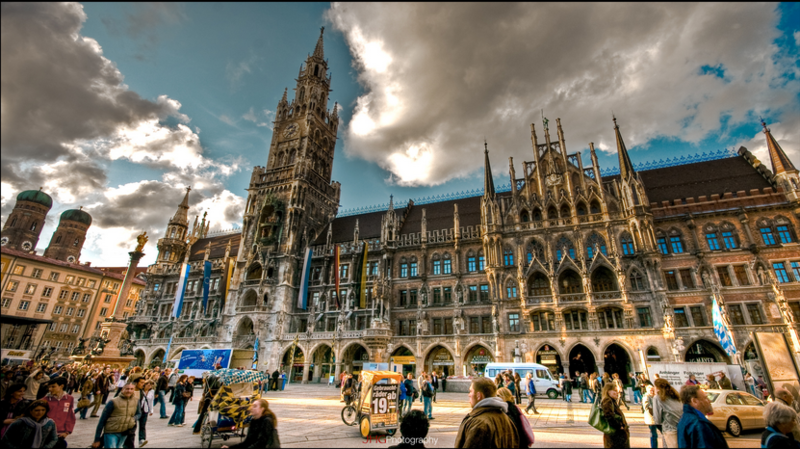 Munich’s downtown is vital, people come here to do their shopping- not in a mall. 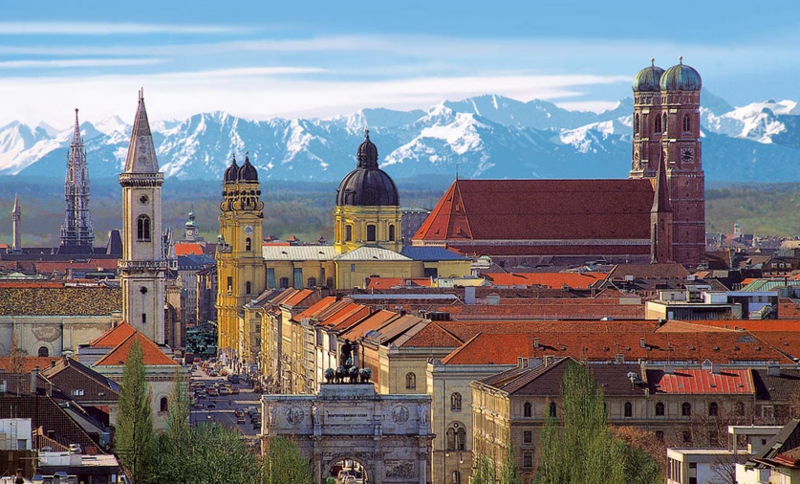 Bavaria is a very conservative part of Germany, but Munich the capital is different. You can that part of Munich in the Viktualien market, which is full with locals every day. The Twin and distinctive domes of the 500 year old Frauenkirche are the symbol of Munich, but an even more historic church is nearby. St. Peter’s church is Munich’s oldest. Built where the early monks probably settled in the 12th century it has a fine interior and some eye catching relics. 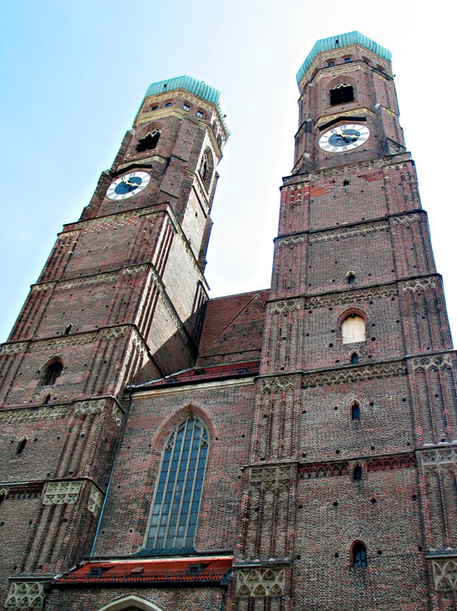 Munich has more holy relics than any city outside of Rome . 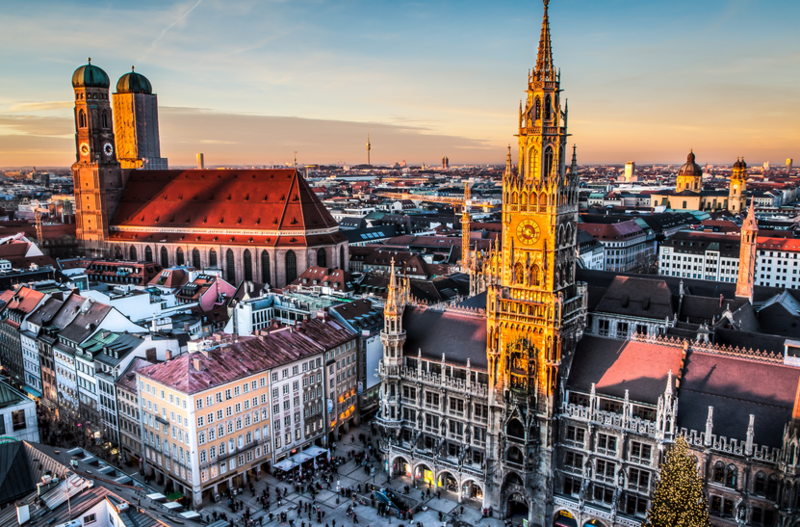 Munich has royal architecture and grand boulevards, that remind visitors that this city was one a political and cultural powerhouse. For maximum imperial Bavarian grandeur, tour of the Residence. 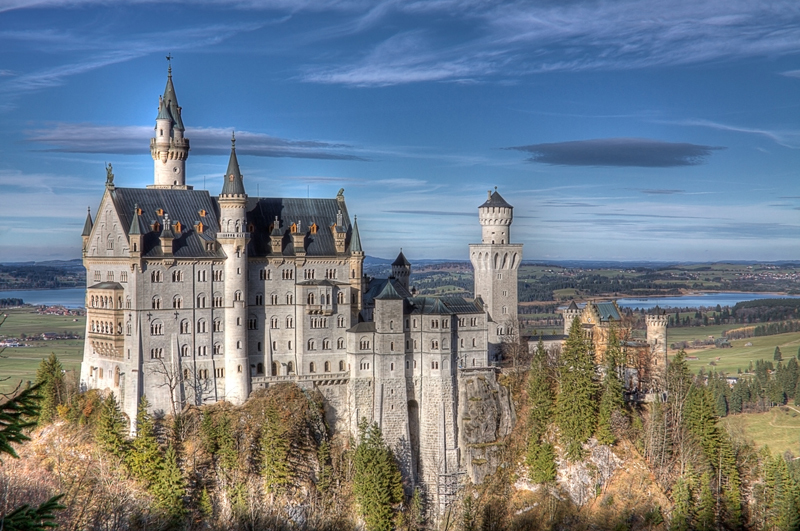 It is an amazing palace and a must see attraction in Munich. The palace also came with a royal garden, and today is the realm of everyday people, rather than kings, dukes and counts. Fort the end you can explore the 200 years old English garden that sprawls over three miles through the city. It is the largest urban park on the continent.